On the occasion of Julien Nguyen: Evil In The Defense of The Good, writer Dean Kissick reads a story and invites poets Hardy Hill and Quinn Harrelson and SI curator Laura McLean-Ferris to give recitals, followed by a conversation with Nguyen; in which he will be held to account. What if the Nixon administration had possessed the same aesthetic agenda as Cosimo de’ Medici? Where does beauty reside today? How has the Renaissance failed us? Join us for an evening of literature, poetry and disciplinary art history. Dean Kissick is a writer and New York editor of Spike Art Quarterly. His latest short story “We Are the Universe” is the cover feature for the new issue of Civilization Newspaper and his column “The Downward Spiral” is published on Spike’s website on the second Wednesday of every month. Hardy Hill (b. 1993) is a writer currently completing masters studies in the fields of theology and philosophy of religion. His recent projects include Heart Failures a novella in verse published by Lomex in 2017 and My Whole World a short story collection published by Neue Alte Brucke in 2015. Quinn Harrelson is a writer and curator. They run an exhibition space called Current Projects in Miami, where their exhibitions have been reviewed by the LA Times, Artforum, and Hyperallergic. Their first book entitled Adult Language is forthcoming from Ruins Publishers later this year. 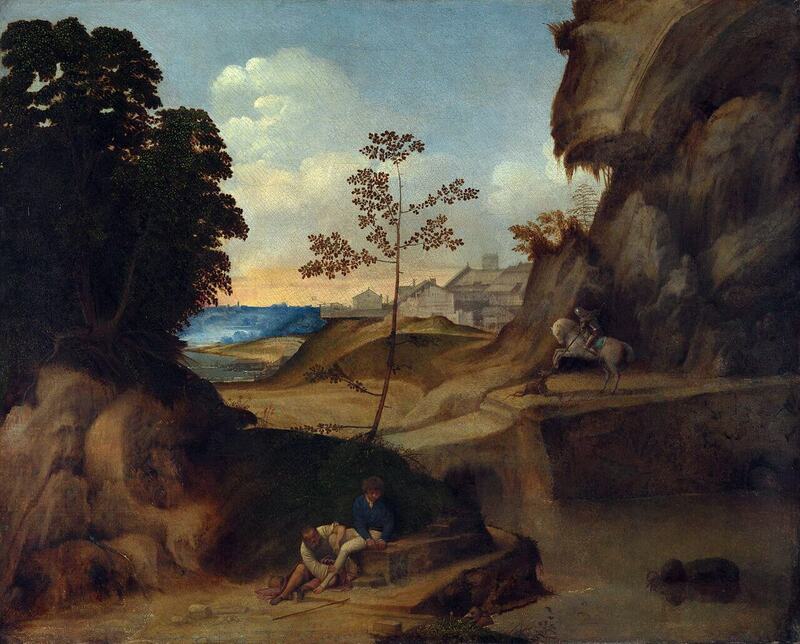 Image: Giorgione, Il Taramonto, 1506-10. National Gallery, London.